When my daughter was little enough to let me dress her in whatever I liked without any fuss, I always chose something girly and childish. Those days are gone but I still adore this style and Babushka Baby executes it beautifully. Babushka Baby has created a range of folk-inspired, colourful clothing for little girls aged from three months to six years that’s full of whimsy charm. All clothing is made from pure cotton fabric which is both comfortable to wear and poses no dramas in the laundry. 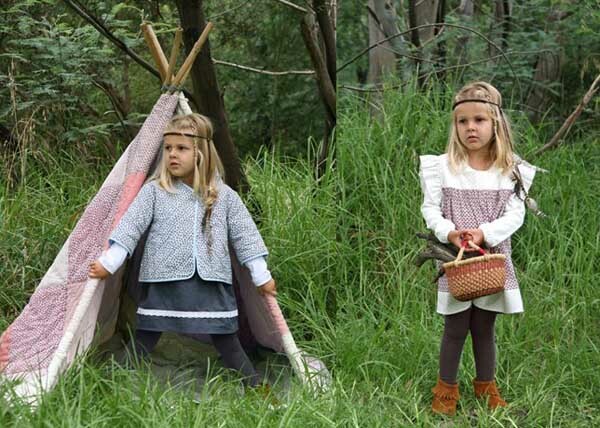 The attention to detail by Babushka Baby is the icing on the cake with ruffled edges, lace, cute trims, hand embroidery and sublime quilting – they really know how to sweeten up a girl’s wardrobe. I love the Taj Blue Reversible Skirt – for $59.50 you effectively get two skirts, since one side has this gorgeous Taj Blue print and the other a denim blue cotton fabric to mix and match with the rest of the collection. Might I suggest for those living in frosty areas a Babushka Baby Quilted Jacket (priced from $65.90) for keeping the cold away? With a cotton outer, wadding and lined again with cotton fabric, it will be like wearing a blanket! Find Babushka Baby at Blue Caravan, with delivery available Australia-wide.